Before I created my first-ever online video course, I spent hours and days researching the different cameras, microphones and software I needed. Eventually, I invested in my “starter kit,” which worked fine. But as I became more and more experienced with the course creation process, I realized that my initial set up wasn’t the best for me, so I changed and tweaked quite a few things. I put together this article to show you the current tools that I use to create my online courses, so you don’t have to spend as much time and money to compile yours as I did! Note: some of the links in the article are affiliate links. If you don’t want to use my links, you can just google the equipment I list here! One of my biggest recent findings is that the quality of the audio is much more important for students than the quality of the video. Thus getting the best microphone is a higher priority than getting the best camera. I’ll get back to this a bit later. But let’s see our options first! It isn’t worth skimping on the microphone. 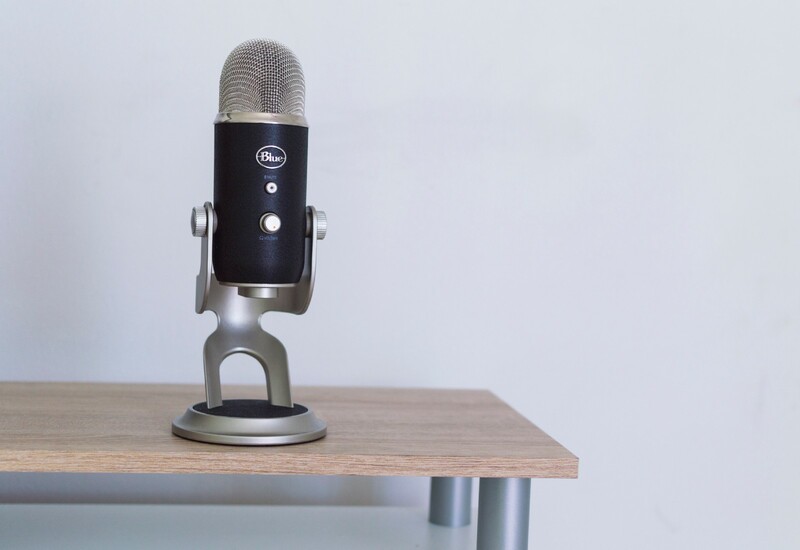 Blue Yeti is the favorite pick for many Vloggers and Podcast-creators and it’s not a coincidence: it brings really good quality for a very reasonable price. Plus, it looks pretty cool. a) It didn’t handle it well when I moved my head while I was speaking. In the recordings my voice was sometimes quieter, sometimes louder, just because I accidentally turned my head. This set is used by many online video course creators and also by semi-professional musicians who want to have a portable set for their recordings. It produces 100% professional quality and thus it is a great investment. What I love most is that it filters the background noise very efficiently, so if you travel a lot and you end up in a noisier accommodation, you can still record your online course materials. The only drawback is that since it’s a headset, you have to put it on your head. 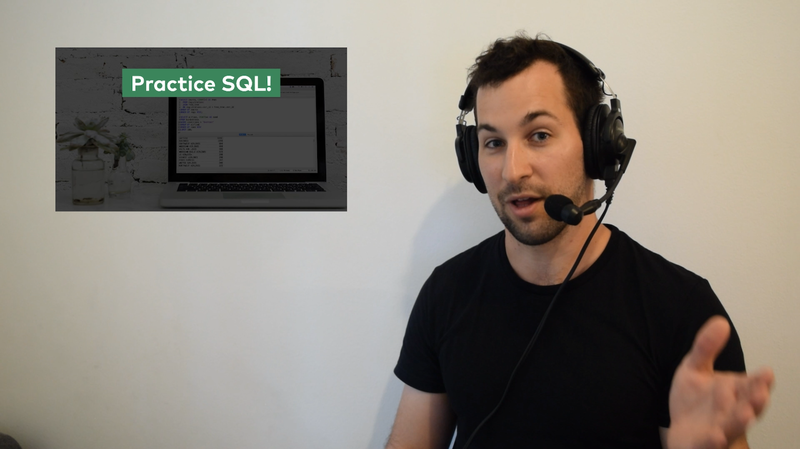 It doesn’t matter when you are recording a screencast video but it might look goofy when you are talking to the camera. Well, it’s just a question of taste. Personally, I don’t really care about it and I wear it during my face videos, too. As I mentioned above, the video quality is less important than the sound quality, so if you have a smartphone with a good enough camera in it, it’s already good to go. Really, for your first course, I don’t see why to invest in a better camera… Spend that money on the audio equipment! And when you pull off your first few sales, then you can still upgrade to a better camera. Another big favorite of Vloggers. 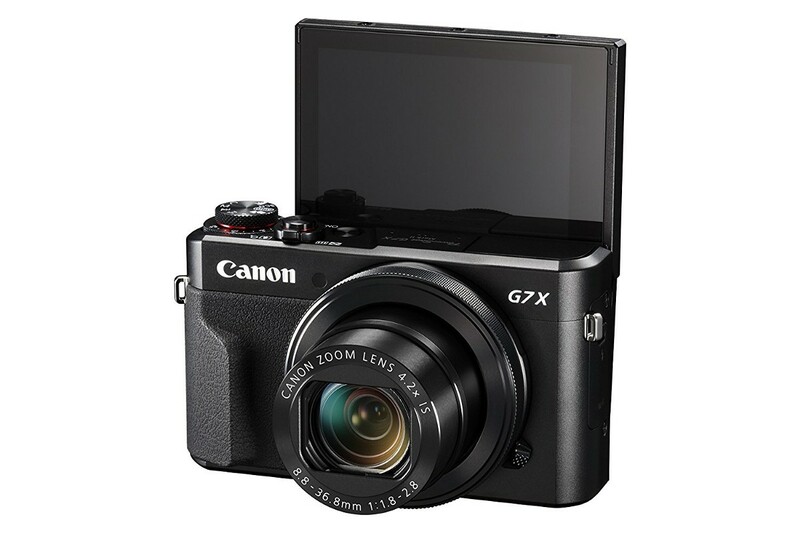 It’s an awesome camera; it’s very easy to use and it produces exceptional video quality even in low light. It has the flip screen, too. Note that it’s not the best camera for taking pictures. But that doesn’t matter since you want to shoot videos and not photos anyway. Best camera + microphone combination? As you can see, there are quite a few microphone + camera combinations. 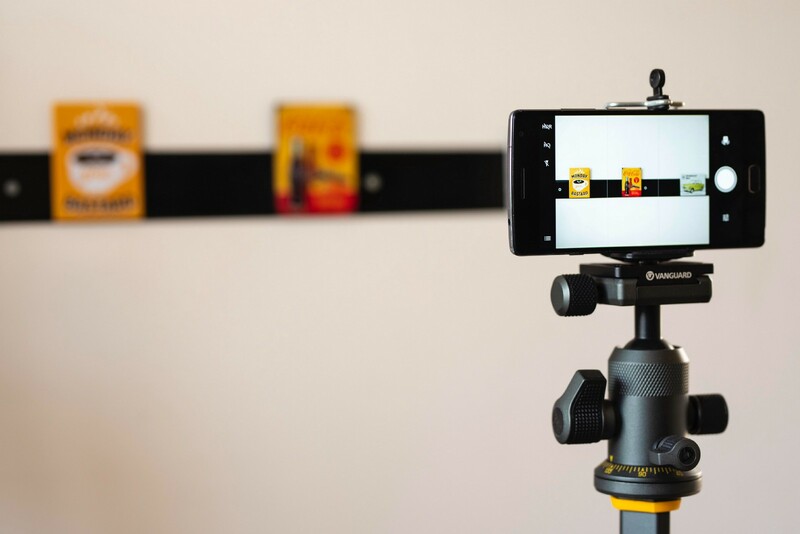 The cheapest solution is using your smartphone camera and a Blue Yeti microphone. It’s very easy to use; you can learn it in hours just by playing around with it. It’s an all-in-one solution: it can do the screen recording, the audio recording and the editing as well. It works both on a Mac and a PC. It’s a one-time payment without annual/monthly fees. 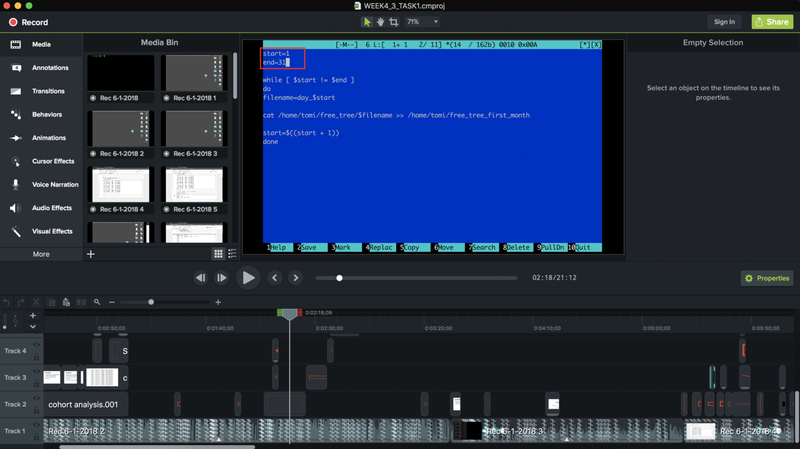 On the other hand, Camtasia is an entry level video editor tool, so doesn’t offer too many special effects, only the most essential annotations, transitions and animations. (For me these were more than enough.) Plus, sometimes it’s a little buggy — but nothing too bad. 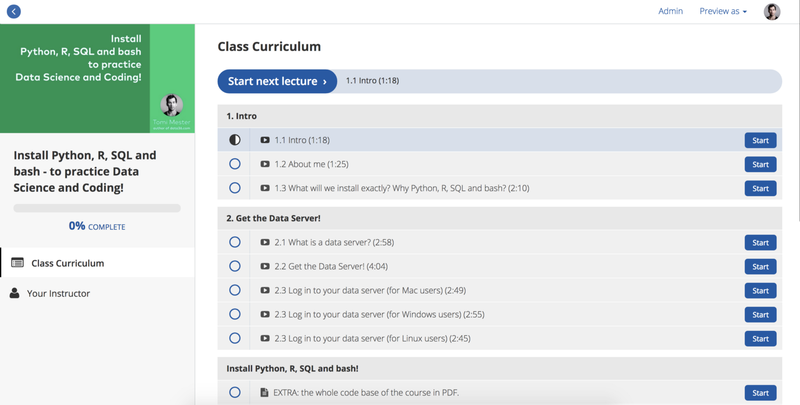 For someone starting online course creation, this is the ideal choice. I learned that students are more interested in seeing visual supports that enhance their learning process than my face. Well, I can relate to that. But since my video course is about data science and coding, most of the time I do screen recordings anyway. When I don’t, I like to talk to the camera for only about 10–15 seconds at the beginning and end of the vids, and the rest is a Keynote/PowerPoint presentation. This was the topic that I initially researched the most. There are four or five big platforms out there. At first look they all seem really similar, but they differ in small but important details. I wanted to know which one was the best for me. Eventually, most of my friends recommended Teachable, and I’m so, so happy that I went with that. First of all, their service is just awesome. They have the perfect editor to beautifully create and organize your online courses. You can create coupons, you can run affiliate programs, you can automate your courses. Everything you might need. It’s simple and efficient. Secondly, their pricing is more than reasonable. I use their Basic Plan, which costs $39 per month plus a 5% cut of sales — which is very, very low. (Just for comparison, Udemy takes 25–75%.) And you can use your own domain and brand. Third, Teachable’s customer support is very responsive and very helpful. All-in-all: Teachable is the best possible choice as a platform for your online courses. I tested every possible format: e-mail list, dedicated website, closed Facebook group, private Reddit channel, everything… but the clear winner is Slack. Honestly, I don’t know why — but techies tend to like Slack the most. And it’s free, too. For scheduling 1-on-1 consultations, I use Calendly. It works simple: I can set when I am available for meetings and students can automatically book a meeting with me. When they do so, it automatically gets into my calendar and all I have to do is just show up in the online meeting room when the session starts. There are many options here, as well. My choice is Google Hangouts. Why? Because I can connect it with Calendly, so my whole meeting-booking process can be automated. Marketing is important and it would deserve another full article. A) You sign a contract with Teachable and they take care of the invoicing, taxation and the general administration. B) You register your own company and you take care of these things by yourself. I did both, although once I incorporated my company, I realized that the A) solution is much more convenient, so ever since then I haven’t even used my company for my online courses. The taxation and your final net income might differ from country to country — but when I did the math for myself (I live in Hungary, Europe), I got nearly the same results for both solutions. If you go with solution A) and leave the admin to Teachable, count on some extra expenses on two fronts. They will send you the money through Paypal. And Paypal charges (a ridiculous) ~5% in transaction and conversion fees (+/-2–3%, depending on which country you live in.) Plus, the contract with Teachable is something that most local tax offices are not too familiar with, so if you want to do your taxation properly, it’s highly recommended to get a 1–2 hour consultation with a professional accountant with international experience. This is especially recommended if you are located in the EU (like me). If you go with solution B) and do the admin for yourself: register a company! If you are in the EU, I recommend a UK LIMITED company. It’s relatively cheap, internationally recognized, and if you don’t use it, it doesn’t cost anything. If you are in the US, you can use Stripe Atlas to form an LLC. And if you are somewhere else, then try to find something similar in your country. Either way, if you form your own company, you have to register with Stripe to accept card payments and Paypal to accept Paypal payments. Both of these are fully compatible with Teachable — which is really important, since most of your students will use one of these two methods to pay you for your courses. For banking, I’d recommend to first go to a local bank because in many countries it’s still the best option. You need information on the costs of international banking, especially for international bank transfers, currency conversion and bank cards. If these fees are high, I recommend to register for Transferwise. 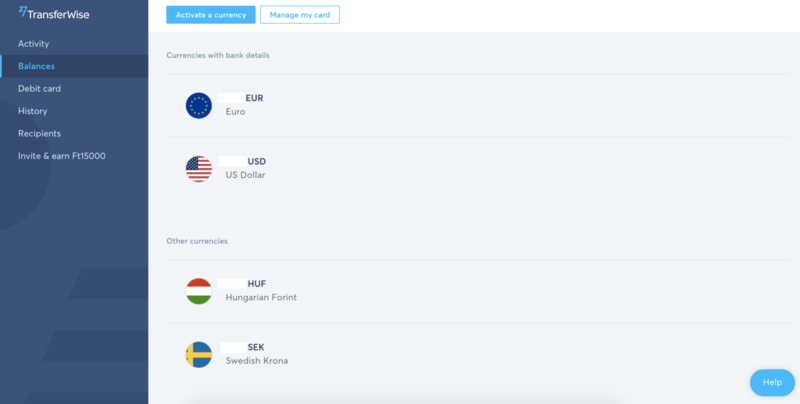 It’s a virtual bank designed to make international banking cheaper and easier. They do currency conversion almost at the mid-market rate and they charge a very low amount on international transfers. Plus they have free bank cards. As you can see, creating online courses is a puzzle with many, many pieces. I hope that this article helped you to find the best tools for it! If you have any questions, any comments, and most importantly any additional tool recommendations that should be on the list, do not hesitate to comment. I hope you found this useful. I will write a few more articles on this topic in the future. If you don’t want to miss them, follow me on Medium, Twitter or Linkedin. Enjoyed the article? Please just let me know by clicking the 👏 below. It also helps other people see the story!